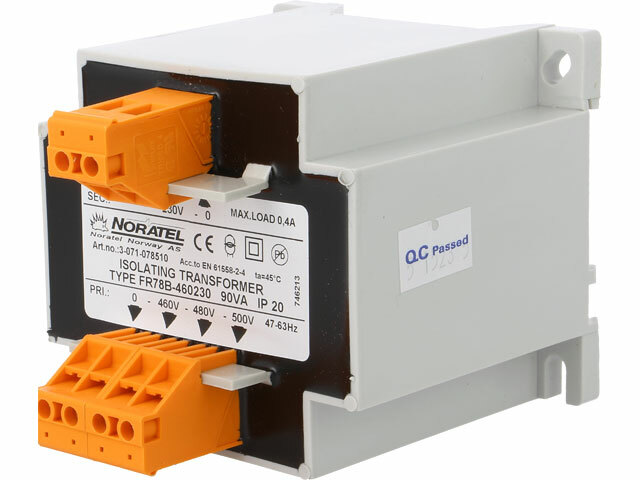 TMS’s offer now includes the high-quality FR series encapsulated DIN rail transformers from NORATEL. The FR transformers are isolating or safety transformers, designed in compliance with the EN61558-2-4 standard or EN61558-2-6 standard respectively. The separate insulated windings are protected against dust, humidity, and rust thanks to high-temperature impregnation. The transformers are molded in self-extinguishing polyurethane, and capsulated in plastic. They are designed for fixed installation in cabinets and switchboards.